Was Serena Williams' GQ 'Woman Of The Year' Cover A Shady Dig? It’s November (can you believe it?) and that time of year when magazines dropped their long-awaited “best of the year” honors. 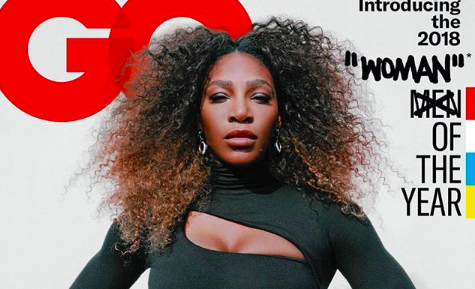 GQ, the men’s magazine of note, decided to switch things up by including Serena Williams in their lineup of covetable covers as “Woman of the Year.” The problem? The “woman” part of their headline was in quotes. The look of it led many believe GQ was slyly insinuating that Williams isn’t really a woman. Needless to say, the internet came out in full force with accusations that GQ blatantly tried to misgender the mom of one. According to Mick Rouse, GQ’s research manager, it all comes down to stylistics. “Because it was handwritten by Virgil Abloh of Off-White, who has styled everything in quotation marks as of late (see Serena’s US Open apparel that he designed),” he tweeted in response to a reader inquiring about the headline. Case closed? Not quite. This is the second time this week when a brand has presented itself to be beyond reproach. Victoria’s Secret also misstepped in response to a shopper by saying they will never include plus-sized models in their annual fashion show because that isn’t their target market. True, this cover issue might have come down to an aesthetic decision by Abloh, but ultimately editors have the final say when it comes to final production. Let’s not be naive, GQ definitely could have used the designer’s handwriting to say something else. Remember, we have a choice of which businesses we decided to spend our hard-earned dollars on. Use it wisely.